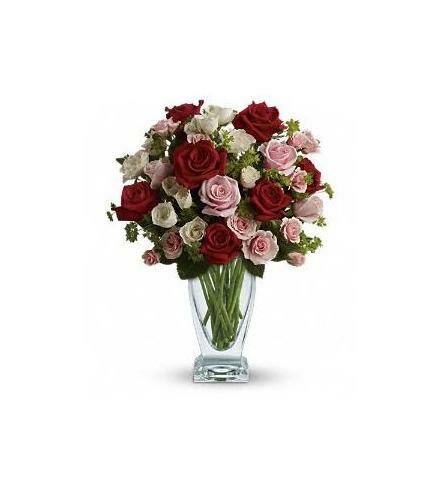 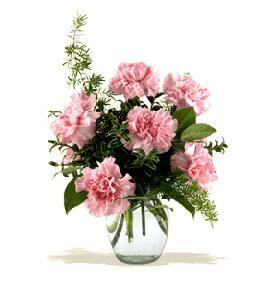 Exquisite red and pink roses, white and light pink spray roses and greens are perfectly arranged in a glass vase. 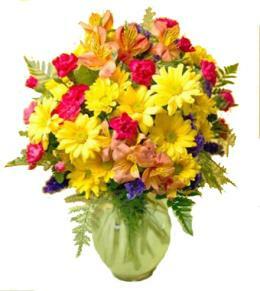 This is an inspired way to celebrate your love.. 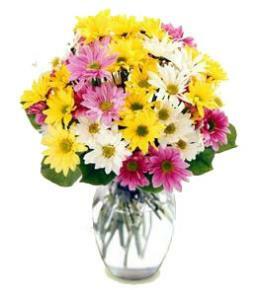 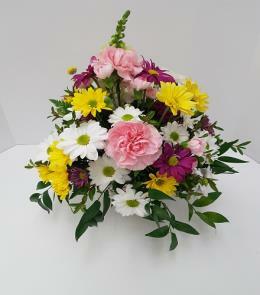 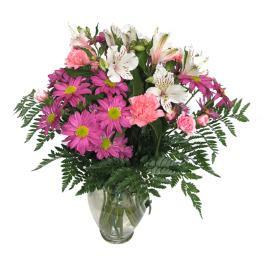 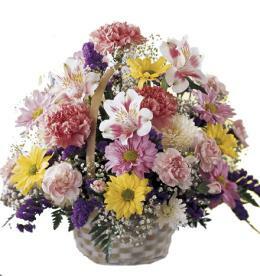 Celebrate your/their Anniversary with the Cupid's Creation with Vase.